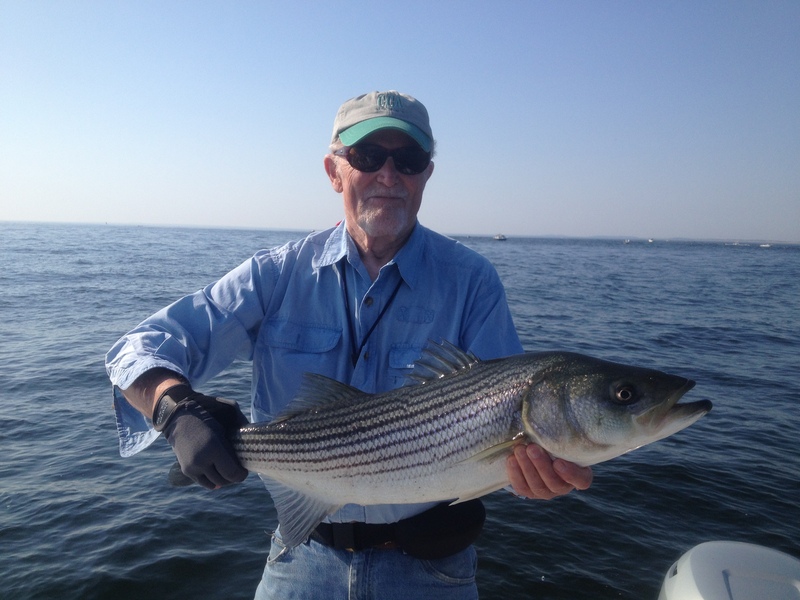 The striped bass fishing in the Merrimack River, Parker River and around Plum Island Sound has been steady but not spectacular during late May and early June. Plum Island Sound quieted down after a fast ad furious start. 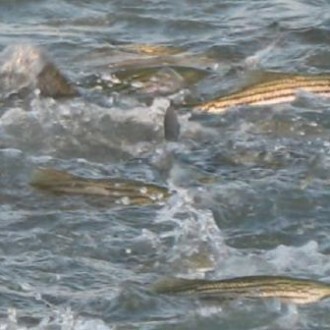 Fish could still be found feeding on the surface but in smaller volumes than mid-May. 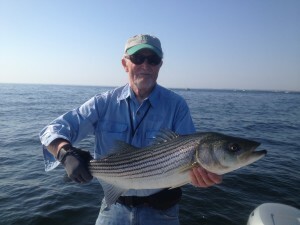 There were reports of some very nice schools of fish in the Sound in early June, but not many. The bait seemed to be very small, either sand eels or juvie sea herring. 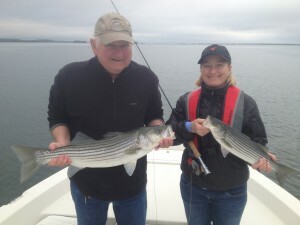 Here is a photo of a couple of happy anglers (father-daughter) in late May in Plum Island Sound. 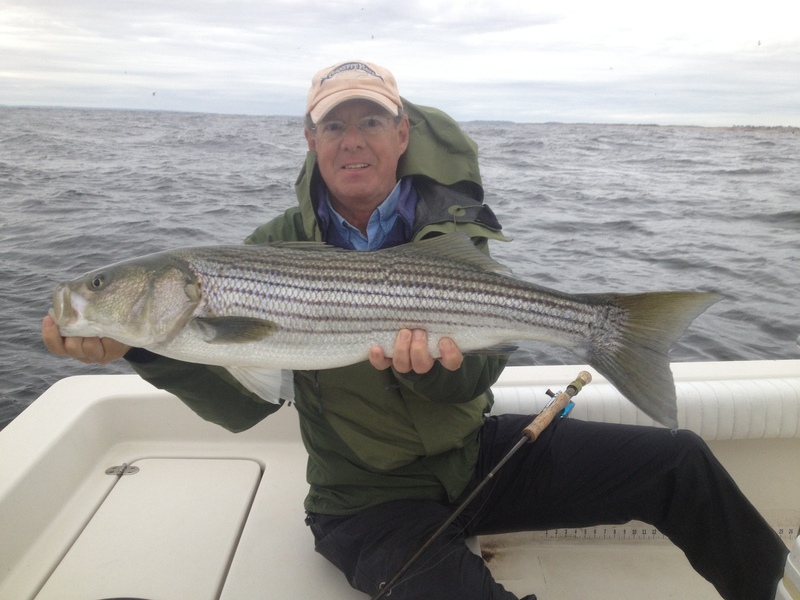 The Merrimack has had striped bass around and some very good days at times since mid-May. Joppa Flats has been real hit or miss and as of today I think we are still awaiting a push of big fish onto the flat. The most consistent action has been in the mouth of the river, sometimes with fish feeding on the surface but often below surface. Most fish are under 36 inches. In fact a 35″ fish is my largest to the boat so far this season and that is later than I ever remember not having landed a 38-40+ inch fish. I hope they are just late in arriving. Below are a couple of photos of nice fish from the mouth of the Merrimack River in the past 10 days.